Just before the Chinese New Year of 2015, my auditor friend Mr Tham passed me a headphone amplifier for audition, the top end audiophile class A headphone amplifier from Erzetich. I am not familiar with the brand Erzetich, neither can I pronounce it properly. Based on information from Google, the country of origin of Erzetich is Slovenia, a country in Europe. Every corners on earth you will find audiophile craftmen, and so is the founder of Erzetich, Mr Blaz Erzetich, who wants to design his headphone amp not to be just another electronic device, but an object of art with a human touch. At present Erzetich made 3 headphone amp models: Perfidus, Bacillus and Bacillus Tilla. Perfidus is the most expensive model. But comparing price with top end models from other brands, I would consider Perfidus still reasonably 'affordable'. I believe Perfidus is targeting at demanding audiophiles who are not preparing to spend a fortune on a top end headamp. 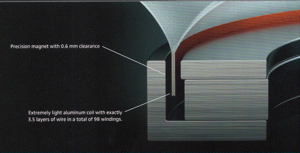 Perfidus is made of solid aluminum casing. The front panel is added a glass panel. Build is of high quality and of very refined workmanship. The overall design is simple and straight forward. It only provides the basic functions: a volumn switch, a 1/4 in headphone plug, a power switch and a set of RCA audio input. When power up, there is a small red LED at the dot of the i at the Perfidus brand at the front panel. We can see the thoughts the designer puts into the fine details. But there is a naughty side of the designer. 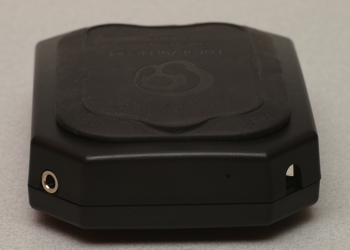 According to the designer this headphone amp can exposed bad recordings, and thus a demon graphic is placed at the headphone output jack and on the top panel of the amplifier casing. So I connect the Perfidus to my Marantz KI Pearl Lite SACD player, Bryston BP-25 preamp, and audit using my loyal headphone Sennheiser HD-650 open headphone. Fresh sound from Perfidus not really impressive, so there it went for few days of running in. After a few days of burning in, Perfidus finally showed its true colour. Designer of Erzetich commented that the sonic nature of Perfidus is bright and quick. I found that the class A Perfidus was not really ridiculously fast, but was appropriately and correctly fast. The fast transient was good for guitars and percussion. I am using all DIY pure silver cables or silver coated copper cables and I found the sonic performance was sweet, and not at all bright to my taste. One area that Perfidus gave me a very deep impression was the very wide sound stage, which gave a very good 3 dimensional presentation of the recordings and the positioning of instruments. There were lots of details across the frequency range, and yet it still sounded musical. I believe if it is paired with Sennheisor HD-800 the sonic performance will be very impressive. Talking about the demon previously, I found that bad recordings were still manageable with Perfidus, not as bad as what the designer had claimed, haha! Vocal of Perfidus was naturally sweet, and did not sound with too much additives. Renee Fleming 'Last Rose of Summer' (Decca 458858-2) was overwhelming at the climax. Huang Hong Ying (Hugo SACD 7234) sweet voice and the whistling of Hugo boss Mr Ek was as impressive as before. Chai Qin’s (SACD EMI 0723457708920 and HE-305A)low and sweet voice was musically reproduced. The strike of the quitar string was like lightning. However the 9 toad calls from 2'27" to 3'44" were not as easy to track as on my speaker system. Vocal is the forte of Sennheisor, so a very satisfying results pairing with Perfidus was expected. 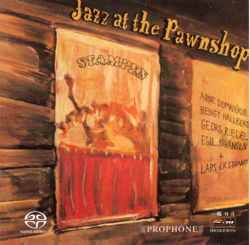 Paavo Jarvi conducting Stravinsky music for small orchestra (Pentatone PTC 5186 046/SACD) and Jazz at the Pawnshop (Prophone FIM SACD M034) are two well recorded recordings. The musical presentation of very rich details made the instruments in Stravinsky alive, and the three dimensional presentation let you feel the live interaction between the Jazz performers and the pub audience. The lightning speed gave punch to the instrument recordings for both. (Hugo HRP 7207-2) is a recording good for testing sound stage. With Perfidus the sound stage was wide and deep, very impressive. Huge Masekela coal train is a recording my editor friend likes very much. It is an explosive live recording. Perfidus fully presented the explosiveness of the performers and the helplessness of the coal mine workers. The only strange thing about this recording is that you need to turn the volumn to much louder than normal to have the correct feel of the recording. Of course on a headphone system I was not going to do that for safety reason, but the punch of the music could still be felt. The last genre to be tested was of course my favorite classical music. Sennheisor open headphone, SACD recordings, now with the class A Perfidus headphone amp that has great 3D sound stage, listening to classical music is another level of enjoyment. Accardo's La Campanella by Paganini(Hugo/DG 449858-4 LPCD45), a very good recording in the first place,now sounds even better. For Rossini string sonatas (Decca 470447-2/XRCD), Perfidus great details and separation allowsed me to very clearly distinguish the first violins from the second violins. It was difficult to separate them because Neville Marriner placed them together on the right side of the orchestra. A bit more on this recording, which from the string tonal point to f view may not be the best recording. The original script was written for 4 instruments only. However I somehow like the more dynamic and forceful presentation of these works by a small ensemble, and the lively interpretation of Sir Neville Marriner. Mendelssohn string symphonies are another impressive classical work (Teldec 4509-98435-2) I like very much. This CD collected five of the symphonies. 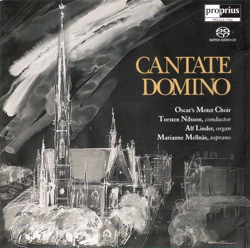 The orchestration is similar to the Rossini version by Marriner. The recording echo is more prominent in the Teldec recording. Decca recording of Rossini is more leaning towards audiophiles. Listening to the Mendelssohn with Perfidus, the music was full of details, very accurate positioning of the instruments, and the same very wide sound stage. All along I believe that other than the source, the headphone plays an important part in an audiophile headphone system set up. But after experiencing Perfidus, I realised the headamp could present such a wide sound stage and a three dimensional feeling of the recordings. It has lots of details in the low, mid and high range, a sweet enough mid range, accurate positioning, and yet and the same time sounds musical, and I believe it can greatly improve the musical performance of a headphone set up. 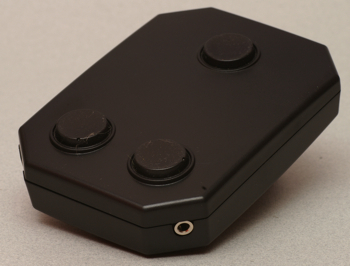 If you are looking for a headphone amp, I would strongly suggest you audit the Perfidus! 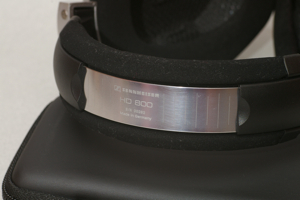 It was a while ago I was poisoned by my editor friend with the top Sennheisor HD 800 headphone. Recently again in a late hot afternoon I was presented with a Sennheisor Momentum, which was proved to be quite poisonous! While opening the high grade packaging, I was wondering the target buyer of this Sennheisor Momentum. The headphone design and the use of material is no doubt high end. The headphone available in black and dark brown. The design is smooth, matched with silvery metal parts. All the minor details are well taken care of. I would not consider Momentum price is in the economy range. But at today’s living standard I do believe students (or parents of the student for that matter) should still find the headphone affordable. But elegant the Momentum it maybe, I think the colour selection may be a bit too conservative to students who might prefer brighter colour combinations. So I think Momentum may be targeting at a nitch market of youthful working adults who are looking for fine product with beyond average sound quality. A nice headphone hard case came with the Momentum headphone, although personally I would prefer a soft case but nevertheless a hard case would provide more protection. The headphone came with two headphone cables. One was a cable that could directly used with Apple iDevices, and thus could control volumn and answer iPhone calls. The other cable was for the purist with just cable and nothing else. I like the iDevices cable headphone jack. It is a rotatable design that allows either a right angle connection or a direct connection. The headphone impedence of Mumentun is 18Ω, guess that is probably what the engineers of Sennheiser felt that is most compatible to the iDevices? Nice on appearance is one thing. We cannot be buying good looking headphone but does not have good sound quality right? 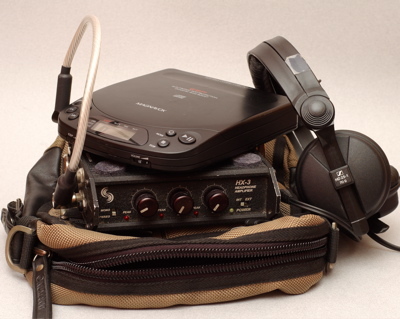 When the Momentum was brought home it was straight away connected to a made in 1988 Sony D-2 portable CD player and Headroom Total Airhead headphone amplifier to run in the headphone. But I was already impress by Momentum’s sound quality at a non-run-in condition. To me I was not able to hear significant difference after the headphone was run in by D-2 for about 100 hours. I also sampled the Momentum with Technics SL-XP 160 PCDP / Sound Devices HX-3, Marantz SA 14, Musical Fidelity A3 / Bryston / Corda HA-2. the former a portable system, the later my home hifi set up. I also tested the Momentum with iPhone4 and iPad2 pairing with Headroom Total Bithead headphone amplifier. Basically I am very please with the sonic performance of Momentum. When listening to Academy of St Martin-in -the-Fields performing String Sonata by Rossini, you got to test high, mid and low range in one shot. The representation of the violins, cellos and basses is wonderful with details. You can even hear musicians flipping their scores. 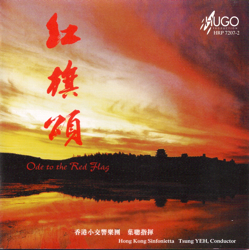 You get the very impressive sound stage of a large orchestra recording from Hugo’s ‘Festival Overture’ (节日序曲) from the album Ode to the Red Flag (红旗颂). This is probably one of the rare finest recording of large orchestra by Hugo boss Mr Aik, that never fails to reproduce large sound stage on almost all equipment. From also a Hugo album Tasting Loneliness for the First Time (初次尝到寂寞) track 4 ‘Those Old Memories are Still Fresh’ (往事如昨), that amazing whistling from Mr Aik and the sweet voice from Huang Hong-yng (黄红英). 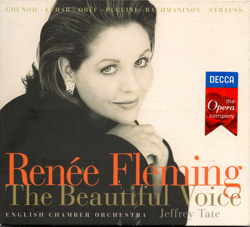 From Decca The Beautiful Voice ‘The Last Rose of Summer’ Renee Fleming and English Chamber Orchestra conducted by Jeffrey Tate just perform the climax that shatters your heart. iDevices headphone cable, rotatable jack (angle and straight). Momentum is a closed head phone, and with its reasonable small size on-ear ear pad is ideal for people looking for a good sound quality headphone that is portable and has noise isolation capability. But as a result of sound isolation, closed headphone will lose some airiness and sound stage as compared to open headphone. I am using two pairs of Sennheisor headphones. One is the one that I use while traveling from home to office and vice versa on train the portable HD 25-1. HD 25-1 is an interesting headphone Sennheisor specially designed for DJs, and the same design has been used for decades, until lately the upgraded HD 25-1-II, and the luxury version of the same price point as the Momentum the HD 25 Amperior. The other headphone of mine is the once long time Sennheisor No. 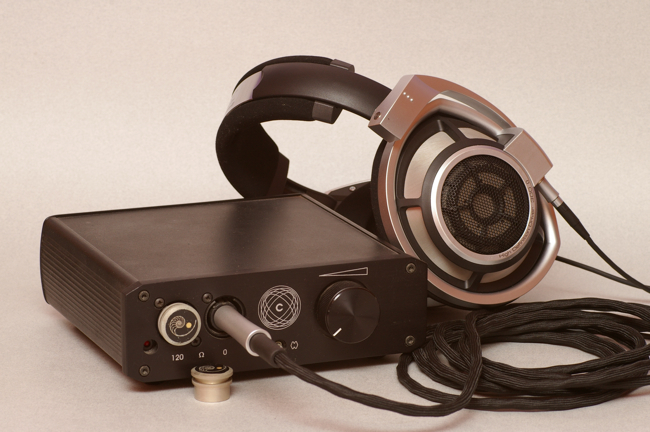 1 open reference headphone Hd 650. With comparison, the sonic performance of Momentum out performs the veteran Hd 25-1 (which is already very good sonically), and in my opinion quite close to HD 650. 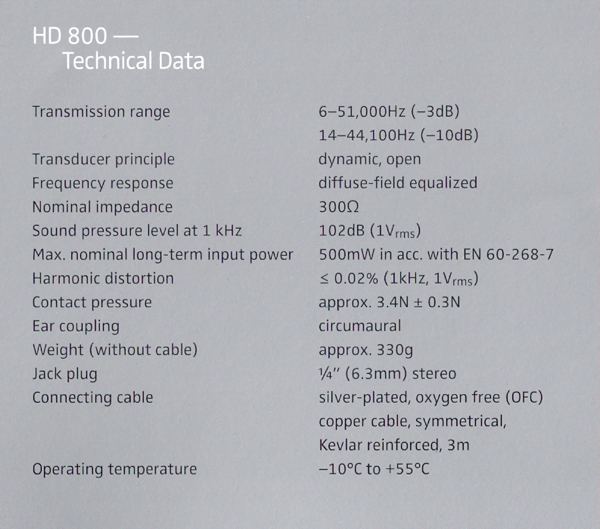 HD 650 will have better sound stage being an open headphone, and the music sounds more natural with the HD 650. But one thing I discovered for once that while at home listening to Marantz SA 14 with SACDs, the Momentum being able to isolate the ceiling fan noise and the computer gaming noise, I suddenly realised that in this case some recording details can even be better on Momentum than the HD 650! With the out standing sonic performance of Momentum, I was start wondering how about that of Hd 25 Amperior. The impedence of Amperior is also 18Ω, different from HD 25-1 which is 70Ω. Compared to HD 25-1, Momentum has a bigger on-ear ear pad, which is more comfortable, but still not as comfortable as full size ear pad that covers the ear. In room condition with fan or air condition one should be able to enjoy the Momentum for a good long time without the ears being heated up. So is Momentum value for money? Well, I would say Momentum is a very well built closed headphone using good grade material. 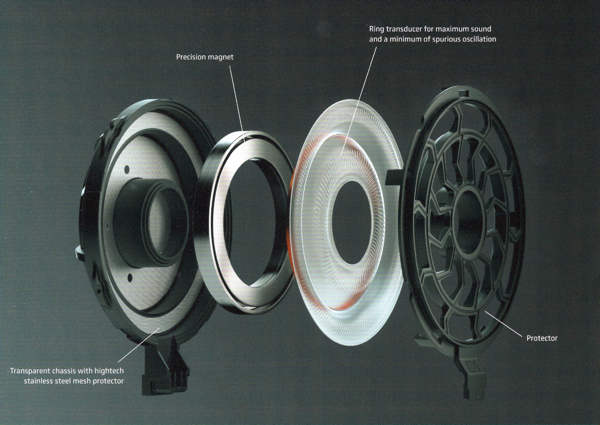 The minute details of the designs were considered by the Sennheisor engineers. If you do not mind paying a bit more, and you are looking for a headphone with good sound isolation, elegant design, and yet is portable, I would say Momentum definitely worth your audition. 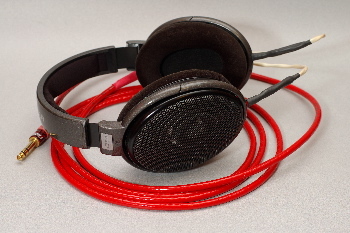 Sennheiser PX-200. His final decision was still HD 650. OK, so it was set for the headphone. Next was to test my Sound Devices HX-3 headphone amplifier. Very obvious to him a headphone amplifier was critical to bring out the full potential of HD 650. Being a very busy person, I then lent him many of my vintage PCDPs, the HX-3, and few mini-to-mini interconnects for him to try at his own time. So for many months I had been traveling on MRT (underground trains) with just my trusty HD 25-1 and vintage PCDP without headphone amplifier. One day I had a GAS attack and was thinking of getting a more portable headphone amp to try. I much prefer headamp using AA or AAA cells as I find 9V battery kind of troublesome. I know in the audiophile world many of the portable headamp circuits are designed based on 9V voltage input, some even go with 2 9V batteries. Besides, many new generation of headamps have the rechargeable batteries build into the amp, and I much prefer rechargeable batteries that I can replace easily myself. Also many modern portable headamps are made of very good quality material and components that make them quite expensive. So not wanting to spend too much I decided to get the US made Headroom Total AirHead portable headphone amplifier. Headroom is a well know brand in headphone circle, designing and selling headamp under its own brand and is a internet seller. Headroom also sells almost all brands of headphones, you name it. As they do not have a local agent in Singapore, I believe in Singapore there are not many users of Headroom products. Headroom sells various headamp of different price range, from US$99 to $2000. For me I chose the AirHead headamp, which is run by 4 AAA batteries. Total AirHead is very portable. 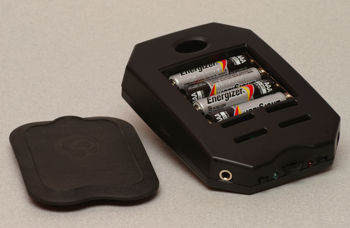 The body is made of hard plastic, and the battery cover is made of soft rubber. 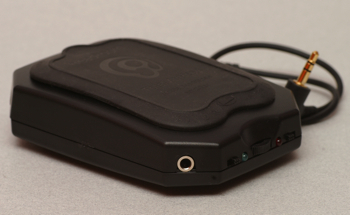 The front of the headamp has 2 headphone output at both sides. On the left is the on/off switch with a green LED, and on the right a crossfeed selection switch and a red LED. Right at the centre is the volume control. The red LED is to indicate headphone power clipping, and at the same time doubles up as low battery voltage indicator. On the centre top side near the front of the headamp there is a gain selection switch. Cross feed is a headphone listening function where some of the signals from the left channel is fed to the right channel and vise versa. The idea is to create a listening condition like that of listening to a pair of stereo speakers. My home headphone amplifier Corda HA-2 has the same function. To me I could not hear any significant differences and has not been using the cross feed function. For some people they feel that cross feed listening will reduce hearing fatigue. The amplifier circuit of Total Airhead is designed based on 5V voltage input. Because of that, Headroom does not recommend 1.2V rechargeable batteries. The total voltage of 4 rechargeable batteries will be 4.8V, which is lesser than 5V. However, a freshly charged Ni-MH rechargeable battery can have a voltage as high as 1.35V which with 4 of them will be able to deliver a total voltage of 5.4V. 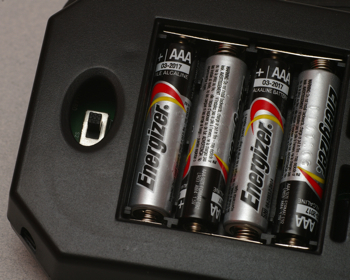 4 good 1.5V alkaline batteries will provide a total voltage of 6V. I have tried both alkaline and rechargeable batteries with the Total Airhead. The alkaline batteries can last approximately 2 months for me (about 20 hours of listening). As for the Sanyo eneloop I am using the battery still have 1.25V after using for one month, so seems not a problem in terms of voltage. I tested the Total Airhead with one of my vintage PCDP Technics SL-XP 290. The difference between using PCDP headphone output and using line-out with headamp has significant different. So to use the Total Airhead to drive the Sennheiser HD 25-1 is still a better option. Sadly these vintage PCDPs can go dead any time due to old age. Luckily I still have a good collection of them so quality PCDP music will be still available to me for a long time. Well, maybe I should do a brief comparison between the Sound Devices HX-3 headamp and the Total Airhead Headamp. Both are designed and made in USA. HX-3 is designed for professional outdoor filming crews, providing three headphone output probably for the film director, the recording crew and one more filming staff. The amplifier casing is made of solid aluminum metal. The circuit design is also very robust to ensure reliability against misuse and human errors. HX-3 is using only 2 AA batteries that for my case can only last 1 to 2 weeks of listening (with about half to 1 hour per day). Interestingly the power LED has 3 states: green indicating good battery state, yellow indicating low power and red indicating not sufficient power. In very low listening volume the HX-3 exhibits some level unbalance between the left and right channel. Total Airhead being low cost in objective, the design probably is more straight forward. At low volume there is no noticeable channel volume unbalance. But when switching on and off Total Airhead there will be a slight ‘pop’ sound heard in the headphones, which is not there for HX-3. The HX-3 is larger and heavier than the very portable Total Airhead. After using the Total Airhead for few months, I am very please with its performance. However, as it is a bit fragile compared to the HX-3, I have to change the headphone cable connector from the 1/4 in jack back to the original HD 25-1 headphone cable with mini-jack. I also set the gain switch to high and find with that I get more punch from the HD 25-1. If you are considering a low cost headphone amplifier, and you much prefer AA or AAA batteries, I would think you can consider the Total Airhead option. It has been a long time me ‘retired’ from spending for audiophile purposes. Lately I spend more time enjoying the music. Ever since I have kids I have been spending a fair amount of time with headphones. I kept many models when I started with the headphones but finally I keep only the AKG K1000 and the Sennheiser HD 650. My daily trips from home to office and back I use Sennheiser professional DJ headphone HD 25-1. My days were peaceful until a day my friend, who is an editor of his own hifi magazine, came to me with the latest Sennheiser state of the art HD 800. 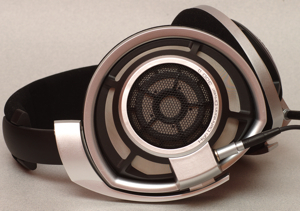 By the look the HD 800 is the flagship model from any angle. 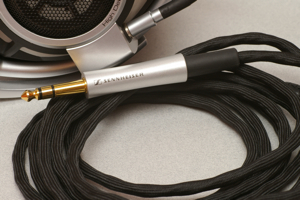 The design is elegant, very different from conventional Sennheiser. The colour scheme is a classy silver and black. The components used are hand picked and assembled in Germany. So it is not a surprise that it will be selling at a premium price. Like all the high end flagship headphones, HD 800 is an open headphone with little noise isolation. The HD 800 has very large ear cups and that leaves ample space around the ears when wearing the headphones. The sound effect is therefore more airy and spacious. Also the spaciousness causes less heat build up at ears for long period listening. New design headphone cable, jack and connector. To evaluate the HD 800 I used Marantz SA14 SACD player, Bryston BP 25 preamplifier and German Corda HA-2 headphone amplifier. I could have by-pass the BP25 preamp and connect the SACD output directly to the headamp. But I use the BP25 for few reasons. With the Bryston preamp, I am able to select the source input (currently I am using SA14 and Musical Fidelity A3). Next is the balance connections of SA14 is different from the BP25 standard but the preamp has a phase switch to correct the phase, and then RCA output can be connected to the headamp. Most importantly, my headphone AKG K-1000 is a power sucker. 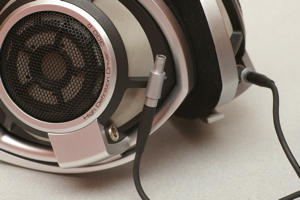 This headphone is designed to be driven by a small power amplifier. Normal headamp will have a hard time driving the K-1000. So for me I use the higher output from the balance output of the SA-14, and with the signal further amplified by the preamp and the headamp, it is easier to get a good listening volume. However, HD 800 does not need so much trouble but I am too lazy to change the set up for the review. I am out of this hifi fever for too long already, now need to get back all the audiophile CDs to test the HD 800: Hugo ‘Tasting Loneliness for the First Time’ SACD, Academy of St Martin-in-the-Fields Rossini String Serenades XRCD, Jazz at the Pawn Shop SACD, Cantate Domino SACD, Carlos Kleiber Beethoven Symphonies 5 and 7 SACD, Renee Fleming’s ‘Beautiful Voice’. The first encounter with the HD 800 was fine, but nothing outstanding actually. 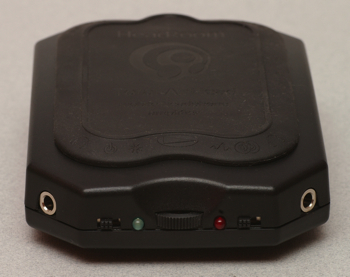 So without further ado, I took out a 1992 Sony D-802K Discman to run in the headphone first. Meanwhile I brought back the HD 650 from office to do an A-B comparison with the HD 800. My HD 650 was fitted with Clou Red cable. Although the headphone impedance of both the HD 600 and the HD 650 is 300 ohm, in my opinion they are headphones that are easy to drive, even by Discman without headphone amp. There are many audiophiles believe the HD 650/600 need a headamp to realise their full potential. The HD 800, however, is quite obvious harder to drive then the HD 650/600. 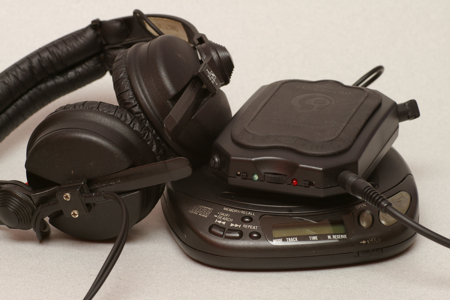 The older generation Discmans are still able to drive it, but the modern ones seems lacking of power. After run in the HD 800 for few hundred hours, I then did a comparison with the HD 650. It was very obvious to me now the HD 800 was much more superior. I was happy, because I am not really an audiophile and with the kind of performance differentiation I will not be having a big headache trying to pin point which is better now! Basically HD 800 has similar sonic characteristics as the HD 650s, being neutral and gentle. The very neutral and accurate design allows you listening to very true to life high and low frequencies. The main difference between HD 650 and HD 600 is HD 650 is more open and forward, like you are the conductor of an orchestra rather than the audience on the hall. To me HD 800 sounds closer to HD 650. It is always an enjoyable experience for me using high end Sennheiser headphones for classical music and vocals. The high resolution HD 800 presents a much clearer sound stage and the instruments in a symphony orchestra can be located precisely. With the advantage of SACD format, for classical music even at those very loud passages you will not get all the instruments lumped together and they are still vividly staying apart. 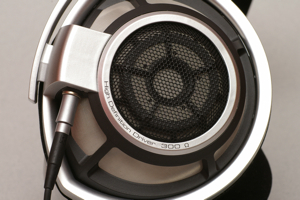 As for vocal, the HD 800 and HD 650 perform much the same way, with HD 800 sounds more real. The String Sonatas by Rossini, performed by the Academy of St Martin-in-the-Fields conducted by Neville Marriner, is my favourite XRCD recording. In almost all the movements, the violin, cello and the double bass will get to solo for many bars and thus is a fantastic recording to test low, mid and high range of an audio equipment. HD 800 being able to present more details, the instruments sounded more real, and even the flipping of the music scores by the musicians sounds so real now. 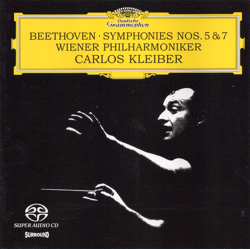 Sound stage is again good for Kleiber’s Beethoven Symphonies 5 and 7 and Cantate Domino. Although the sound stage is not as wide as a speaker system. Listening to 黄红英 performs 往事如昨, her voice is so sweet and gentle and so is the whistling by Hugo boss 易有伍 himself, one of my favourite track in this SACD recording. Also very enjoyable is the climax in This the Last Rose of Summer performed by Renee Fleming. Based on my past experiences with HD 650, I believe when driven by a tube amplifier the HD 800 will sound even better for vocal and in the midrange. I also tried Jazz at the Pawnshop (track High Life) and again was very satisfied with the performance of HD 800. As I found the sound stage was still not wide enough, I took out Hugo recording 红旗颂 track 节日序曲 and now finally I got very wide sound stage, though it is still not as wide as the speaker system. This recording of Hugo is really one of the few very good large scale symphony orchestra recordings you can get. Never really find rock the forte for Sennheiser and I myself do not listen to rock. 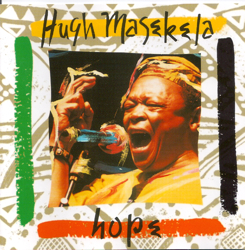 I am thinking whether the track Stimela performed by Huge Masekela can be considered as rock music or not? Stimela (life recording) was first introduced to me by this same friend of mine. When listening at normal volume I did not find the recording very special. It was one fine day when I was listening to it at my friend’s home with his world class hifi system at very high volume then I realised the power of this recording. Well this is a strange recording. It really sounds normal at low volume and only when it is played loudly on a speaker system, then will you feel the greatness of the performance and the loneliness in the music. I have never had intention to test headphones with this recording but I will just try it out on the HD 800. Although the volume I used was only slightly louder than normal, HD 800 did present the music in a powerful way! Unfortunately there was a long queue waiting for the HD 800 for reviews and so I had to let it go soon. As it was way better than the HD650, my review was quite easily done and instead I spent more time enjoying music and also trying to compare SACD and XRCD recordings. I would expect SACDs out performed XRCDs easily with HD 800 but to my surprise it was not so on my system. There were some technical issues that made the comparison not so straight forward. The XRCD output seemed to be higher than the SACD, and so for A/B comparison the volume adjustment could make the reference point not totally the same. 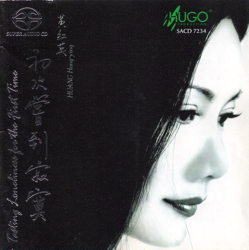 The Hugo recording 往事如昨, there was different treatment on the vocal part for the XRCD version and the SACD version so that made comparison quite difficult. But overall XRCDs have more meat in the midrange and when listen to vocal, whereas SACDs perform very well for large scale orchestra recordings, and for details in the high and low frequencies range. 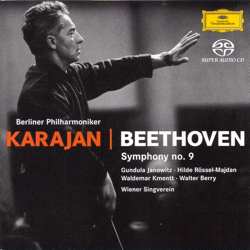 Before the HD 800 was gone I tested it with Karajan’s Beethoven Symphony No. 9 (DG, 1963 SACD version) and I would say this headphone did justice to this great symphony with the last movement so well presented. Only now I took out the no more in production AKG K1000 to compare with the HD 800. K1000 is priced higher than HD 650 but lower than HD 800. However it is a very different design and it sounds more like ear speakers than a pair of headphones. It has a strong character and I find it not so suitable for vocal but it does produce music with very good power and speaker like. But overall HD 800 is still much better. And there it goes the HD 800, and what a poison my friend has given me! Today in year 2008 is the world of MP3 players. Portable CD players (PCDP) or Discman of Sony are almost going into extinction. In Singapore market you will not be able to find PCDPs from big brands like Sony, Philips or Panasonic. Only budget brands still producing and selling PCDPs. I was once admirer of the very beautiful Apple iPods. In the early days of iPod the price was not attractive to me and also the uploading of WAV format was not supported then. It came the time where Apple launched the very basic and small iPod Shuffle. This white little elegant gadget had no display of any kind other than 1 or 2 LEDs. It was priced attractive, and also allowed the play back of WAV format. As a result, I got myself a 1G Shuffle. Well, the first batch of Shuffles was snapped up in no time, and it took me quite a while to hunt down 1 unit selling at 7-11 convenient shop. I remembered happily I went home and ripped some audiophile and classical music recordings into WAV format and uploaded to the new toy. 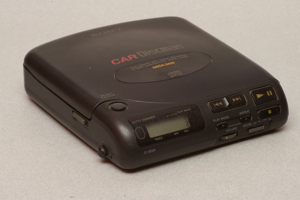 The original intention was to compare the sound quality of the Shuffle to the audiophile CD player. But much to my disappointment, the Shuffle’s performance was far from audiophile standard, and I then used vintage PCDP to do the comparison instead. They were compared on my home audiophile system on speakers. The PCDP won hands down in sound quality. I was pondering about the music performance of the Shuffle.Not being a computer expert, I was not doing the most careful ripping that could be done. Might be that messed up things a little. I did not spend time later on the Shuffle, and it was sold to my colleague at a later date. Every day still I am listening to music with my PCDP: better music and I do not need to spend time ripping music. Few years later in 2008 came a new colleague who is a computer craze. He asked me one day whether I would be keen to do a blind fold test between Apple iPod and my PCDP. I happily agreed. This colleague of mine was using a 5th generation Apple iPod Video. Again I selected WAV as the format for comparison. My colleague went all out for the comparison. In his computer he put in as much vibration isolation as possible, and was using bit by bit CD ripping to prepare the digital files on the hard disk. 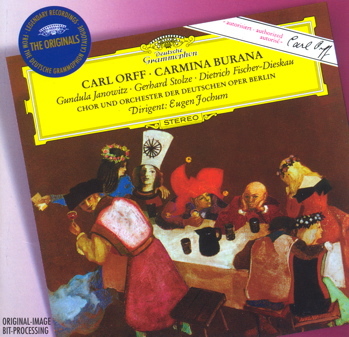 The music for comparison was Carmina Burama from Deutsche Grammophon. On the day of the battle of the iPod and PCDP, my Philips PCDP ran into some problems, and a Technics PCDP (which I felt was not as good as the Philips) was used instead. Sound Devices HX-3 was the headphone amplifier, and the headphone used was Sennheiser best HD-650 with Clou Red headphone cable. I was not feeling very easy as I do not actually have audiophile ears. So I was blind folded, and my colleague did the swapping of source and the playing of music. Only track 8 Chramer, gip die varwe mir was used. At first with the vocals I could hear the difference but still could not decide which was better. Then came the percussions and at that instant I differentiated the PCDP from the iPod .......... again PCDP won hands down! I was wondering then that iPod sound quality should be of a good standard. Source wise WAV should not be too far off from original CD. Could it be then the DA conversion of the iPod not as good as the Technics? But iPod and Technics are almost 10 years apart in terms of manufacturing date, and I assumed also in terms of technology. Could it be the present cost effective and mass production approach degraded the circuit design? What ever it was, I did not figure out a good answer. But let’s look at the much matured CD technology. Audiophiles can still easily differentiate CD and XRCD recordings, and some even can differentiate US cut CDs from others. So it should not be a big surprise PCDP is superior to iPod, right? Now every working day I spend 40 mins on the train ride, and these are precious time for me to enjoy my classical music. You know at home with 4 young kids it is so difficult to find time for serious music listening. Classical music can run about 10mins to half an hour, and I do not have the need to store thousands of music on MP3 player. Just a few CDs and a PCDP will be a very nice portable set up for me. I save all the CD ripping time, and get the best sound effect. Technology advances so quickly. Maybe one day we can get MP3 performance close to CD?